There are so many fashion trends to try this spring – from the 90s, to culotte pants, to paper-bag waists. 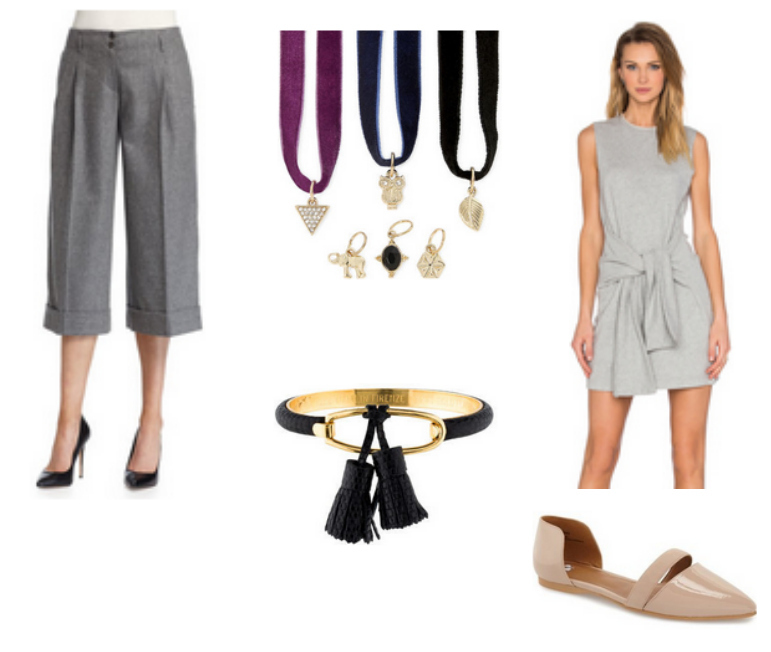 This week’s Wants are a round up of items I love that are right on trend for spring. I hope you enjoy them! My personal favorite trend is probably the paper bag waist. It’s comfortable & flattering, and can be casually dressed down or dressed up for work. That, my friends, is the definition of a ‘functional’ trend! I would love to know what trends you are most looking forward to wearing this spring. Let me know in the comments below! "Style Inspiration: Anne Hathaway as Jules in “The Intern” (Look 2)"
I want the tassel bag and tie front dress! awesome picks! love those shoes! Love these spring picks! I need that fringe bag, and those paper waist pants look so comfortable! Love all of these picks!! I need those chambray shorts! I want those chambray shorts! And maybe that fringe bag. And the gold earrings. And those flats… so like all of it, basically:) Such cute picks!! I love both of those pants and wished it could work for my body type but it's not meant to be. 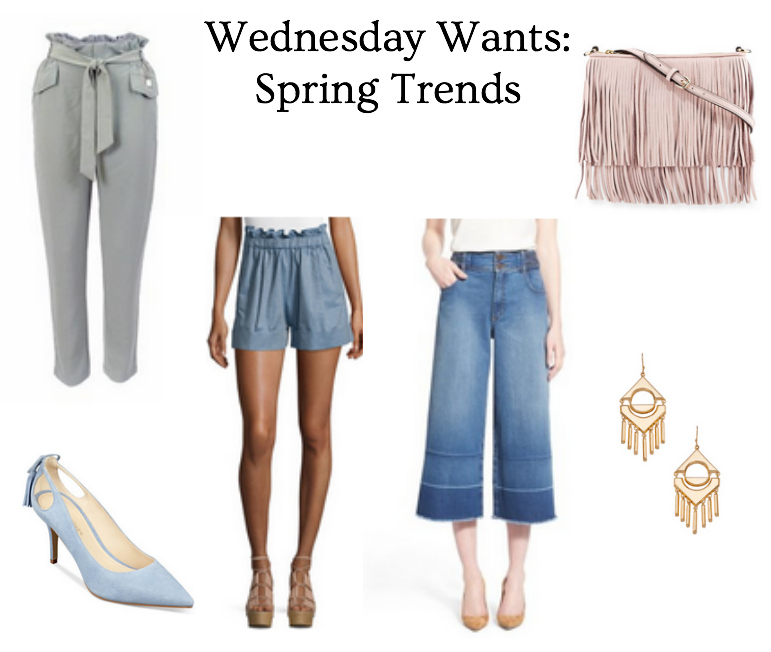 I'm obsessed with those denim culottes! LOVE!